Get combo tickets through Klook and get up to 44% off on Lotte World and Lotte World Tower admission! 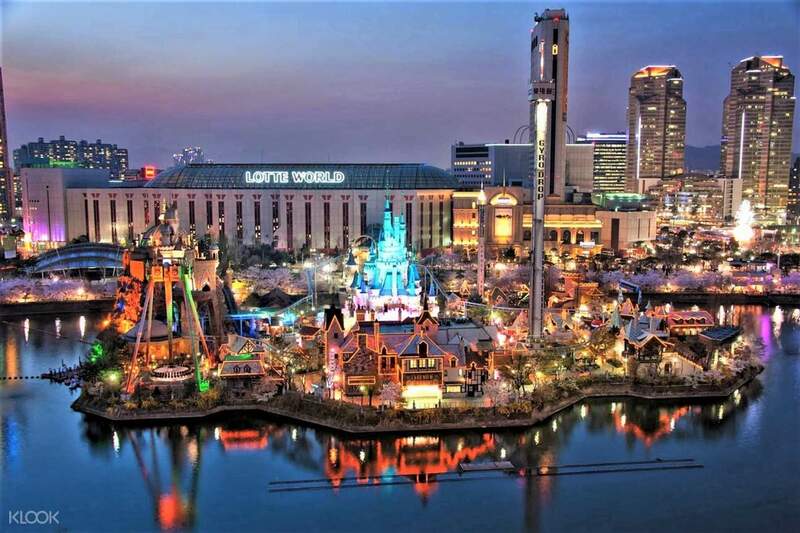 Want to learn more about Lotte World? Read Klook's Lotte World review to find out! Spend a perfect day both at Lotte World Theme Park and Lotte World Tower in the eastern part of Seoul with this special combo package! 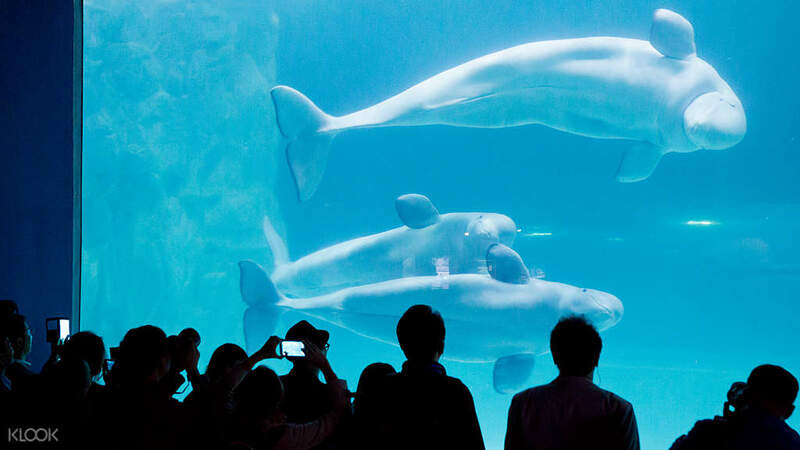 Located close to the city centre, the Lotte World theme park in Seoul provides visitors with a unique mix of classic theme park rides combined with other indoor amusements. Test your bravery on the park's popular thrillers, Gyro Drop and Gyro Swing, with drops of up to 70 meters! Make a splash on the Flume ride then visit the Folk Museum to discover more about Korean history, dating back to 5,000 years. 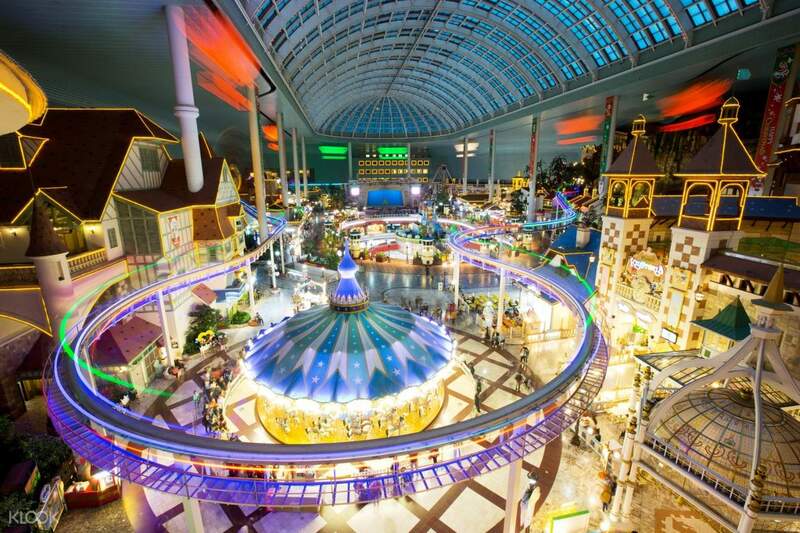 There are so many things to see and do at Lotte World. Combine that with a visit to the Lotte World Tower and you're in for a treat. The Lotte World Tower is the nation's tallest and the world's fifth tallest building. It dwarfs every other building in the South Korean capital. From the Sky Seoul, enjoy the panoramic views of the entire capital city, beautiful both day and night. Don't miss out on this value-for-money offer! 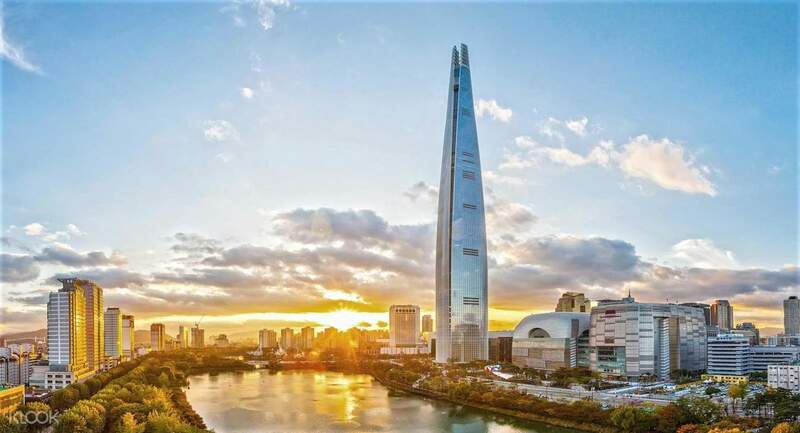 Experience breathtaking views from the top of Lotte World Tower in Seoul Sky! There will be a safety check before entrance. The following items are prohibited on all premises to create a safe and pleasant viewing environment: food, glass bottles, pets, professional photographic/recording equipment, large bags, sports equipment, electronic cigarette, etc. Perfect place to enjoy the day regardless of your age. Perfect place to enjoy the day regardless of your age. My kids highlight of the trip! We took a cab and made sure to be dropped-off at the South Gate. hassle-free exchange. One-day is not enough especially for the kids. My kids highlight of the trip! We took a cab and made sure to be dropped-off at the South Gate. hassle-free exchange. One-day is not enough especially for the kids. The south gate is a bit far and minimal signage. We need to ask two different information to find it though there were no hassle in ticketing. The lines were just about right. It could have been great if the Magic Pass were all working in all rides. Recommended for smaller kids. Lotte World Sky Tower is a great experience but not much to do. The south gate is a bit far and minimal signage. We need to ask two different information to find it though there were no hassle in ticketing. The lines were just about right. It could have been great if the Magic Pass were all working in all rides. Recommended for smaller kids. Lotte World Sky Tower is a great experience but not much to do. I didn't know what to expect about this tower. but it is over the top and beyond. I didn't know what to expect about this tower. but it is over the top and beyond. VR/3D lame story some staff assign to rides dont understand & cant speak english. most of the adult rides are closed we enjoy the atlantis ride and gyro but atlantis are not safe for your spine need to change your type of chair. different variety of food to choose. VR/3D lame story some staff assign to rides dont understand & cant speak english. most of the adult rides are closed we enjoy the atlantis ride and gyro but atlantis are not safe for your spine need to change your type of chair. different variety of food to choose. Nice view from up here. Looking forward coming again! Nice view from up here. Looking forward coming again! Seoul City from bird's eyes view. Very fascinating! Recommended. And do buy a postcard and post to yourself back home. ^^, They have pretty postcards and posting service on the top floor. Seoul City from bird's eyes view. Very fascinating! Recommended. And do buy a postcard and post to yourself back home. ^^, They have pretty postcards and posting service on the top floor. Lotte World is the best if you came with your friends. They have many interesting and thrilling activities. Please download Lotte World Magic Pass apps. It'll help so you won't spend too much time waiting. Ho on weekdays. Lotte World is the best if you came with your friends. They have many interesting and thrilling activities. Please download Lotte World Magic Pass apps. It'll help so you won't spend too much time waiting. Ho on weekdays.